This was a wonderful show. 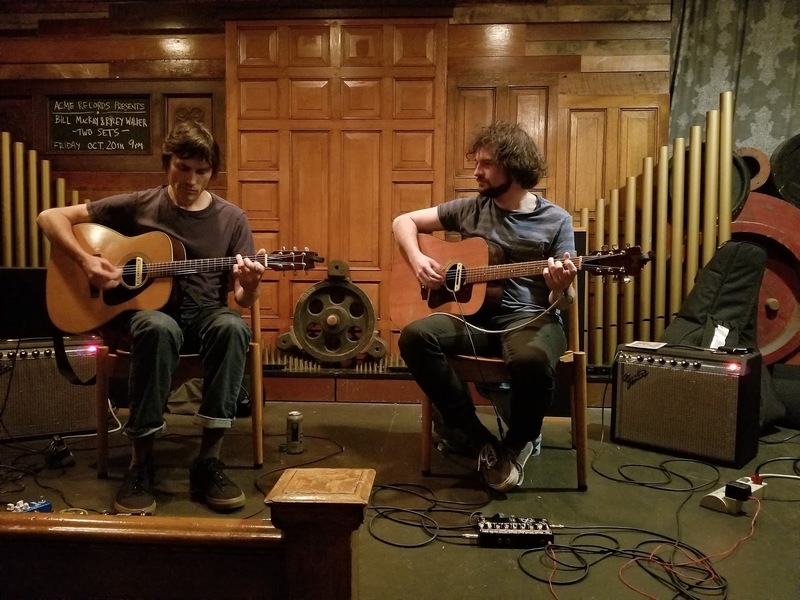 Ryley Walker and Bill MacKay have worked together for years, both as part of Ryley's touring band as well as a recording duo. This concert was on the same day as the release of their most recent collaboration, SpiderBeetleBee on Drag City Records. Like the LP, this is an instrumental show except for one surprising cover song (I'll let you discover it on your own as you listen). There has been a lengthy delay between recording the show and posting it, as I attempted to split the tracks and attach names to them. That is a much easier task when there are lyrics. I eventually decided to upload the show as two 40-minute sets. I think most people are going to listen to the concert that way anyway. 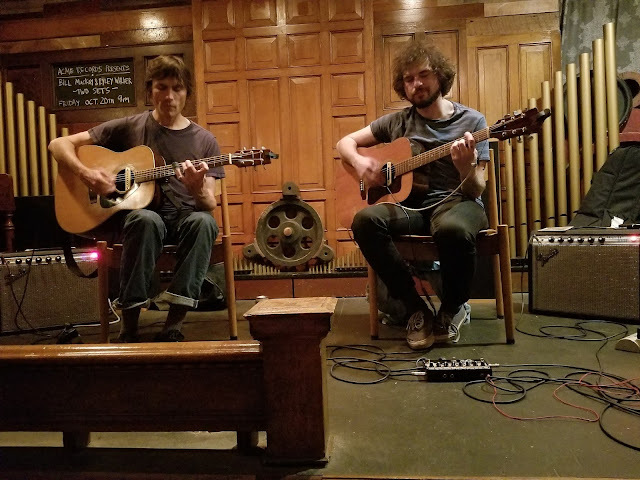 This performance was recorded with explicit artist permission by Richard Hayes using a pair of Beyerdynamic MC 930 microphones (which have a cardioid pickup pattern) which were fed into a Tascam DR-70D recorder at 24/96 resolution. Audacity was used to provide very gentle EQ and minimal compression. 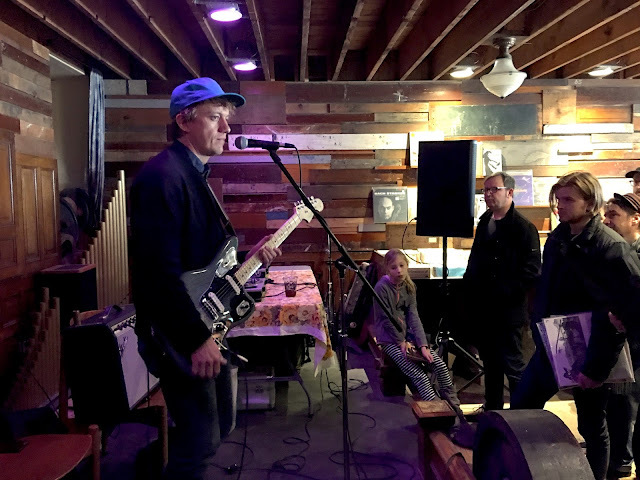 My last post featured a great set by Steve Gunn performing solo during Record Store Day, and this is the amazingly intense instrumental set he and John Truscinski performed the night before. As you can see from the photos below, the lighting (featuring purple-tinted lightbulbs above the stage at Acme) was a bit on the low side during the performance, but the music is really on fire. 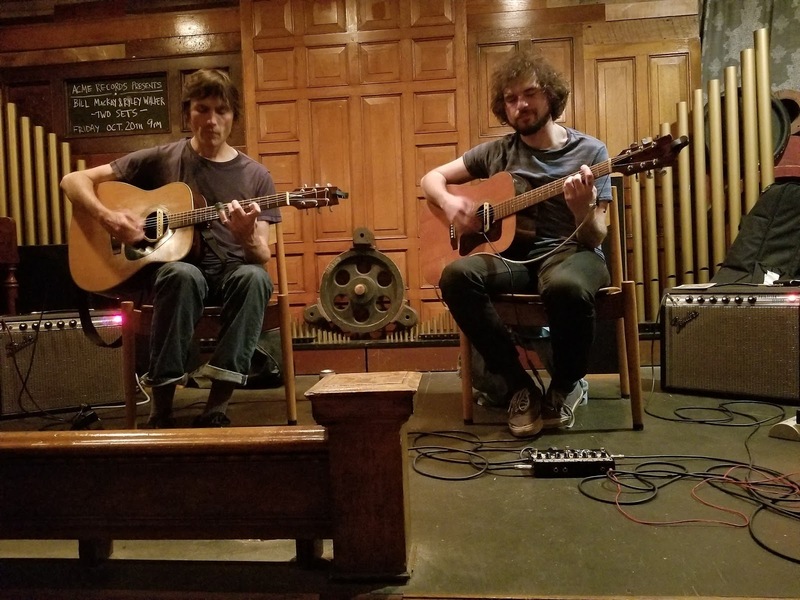 This performance was recorded with explicit artist permission by Richard Hayes using a pair of Beyerdynamic MC 930 microphones (which have a cardioid pickup pattern) and fed into a Tascam DR-70D recorder at 24/96 resolution. Audacity was used to provide very gentle EQ and minimal compression. As I often do with instrumental music, I decided to not break up the pieces into individual files and instead allow the set to stand on its own, which it does with ease. Please support these fine artists and decent people by going to their shows, buying multiple copies of their merchandise (your friends need the music), and talking to them like they are real human beings after shows. If they don't mind and have the time, of course. 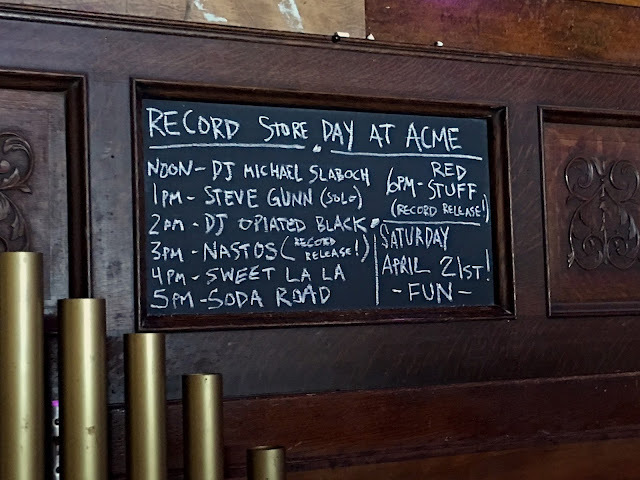 As the chaos and unbridled consumption of yet another Record Store Day descended upon the land, there was an oasis of sonic beauty taking place on the small stage at Acme Records, located in the Bay View neighborhood of Milwaukee. 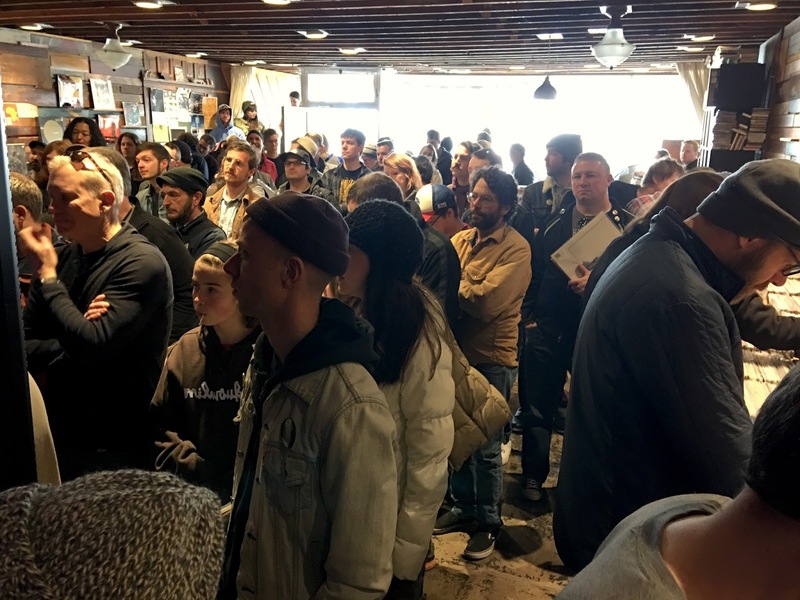 A packed room of shoppers -- most too intrigued by the sounds from the stage to continue casually flipping through the bins, slowly began to make their way across the room to check out the guitar playing and songwriting of Steve Gunn. 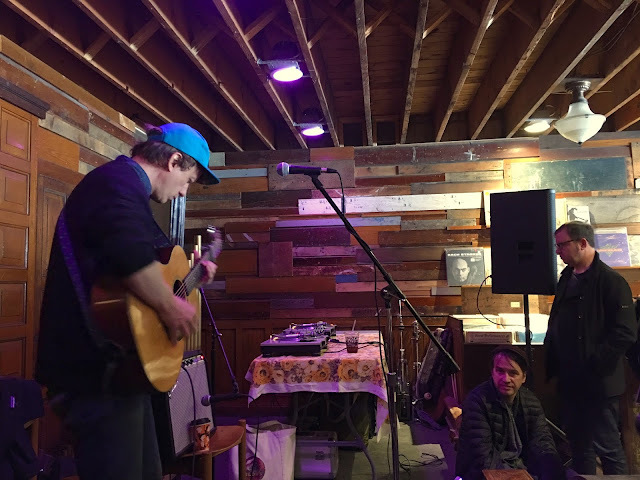 There wasn't much room to move closer, but those who could did and they were rewarded with a relaxed set from a master of the fretboard. 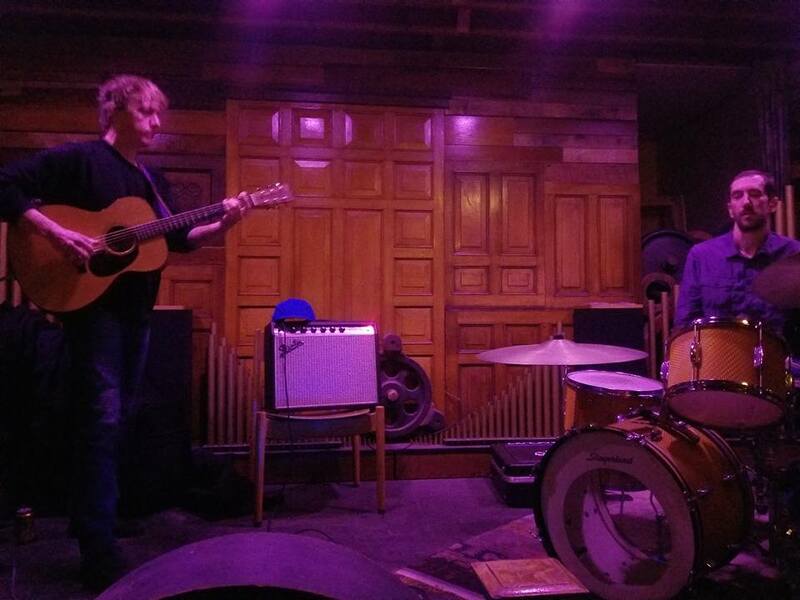 If you haven't had a chance to hear much live Steve Gunn, definitely check out the blog nyctaper.com -- there are plenty of excellent shows there. Please support this fine artist and decent person by going to his shows, buying multiple copies of his merchandise (your friends need the music), and talking to him like he is a real human being after shows. If you can. Video of this set was recorded by Richard Hayes with an iPhone 8plus using a Shure MV88 microphone (that is inserted into the lightning port and overrides the built-in microphone) and Motiv Video software at 1080 resolution and 16bit, 44.1kHz WAV audio. Audio was captured from the mixer using an aging but still trusty Edirol R-09HR at 24 bit, 96kHz resolution. 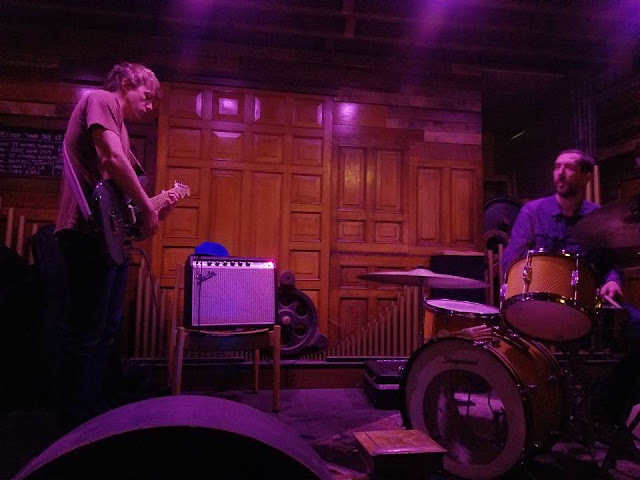 It was edited in Audacity with minimal EQ and elimination of a few silences as Mr Gunn tuned his guitar between songs. Thanks to Michael Slaboch for his excellent live sound mix in a difficult situation! I down-converted the WAV to 'Redbook CD' specifications in Audacity and also used xAct to create ALAC (lossless) and mp3 (lossy) versions.